Finding safety and feeling safe is different from playing it safe. If you are not thinking outside of the box, creating new things and you expect things to change without opening up to new possibilities you are playing it safe! If your focus remains on one thing and one thing only, you are playing it safe! If you wish to grow and expand you must open up, put yourself out there and take a chance. It does you no good to sit at home and wish for things to change if you are not willing to create that change. No one is going to do it for you nor can they put you out there…only you can do that. When you take steps to find the areas in your life where you are playing it safe because of fear, past hurt or invalidation you clear those limits. Yes, playing it safe is limiting yourself! Trying new and different ways of doing things might even change your perspective on those things you’ve been safely holding on to! Opening the Pandora’s box of limiting beliefs and finding out if what you believe to be true really is your truth can be daunting to say the least. It is difficult because generally speaking one plays it safe because of an underlying pain which must be acknowledged before it clears. Being the good little girl or boy (no matter how old you are) so people like you doesn’t serve you or anybody else. Everyone has a comfort zone and if you are operating and staying within that comfort zone everything will remain just as it is! Just because it’s called a comfort zone doesn’t mean it’s comfortable to be there. Oddly sometimes the pain of where you are is more comfortable than taking the risk of putting yourself out there because unconsciously, or consciously, there is a fear and the potential of more pain. 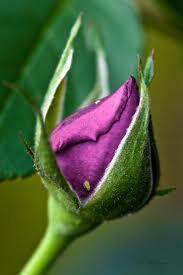 At some point it does become more painful to remain tight in the bud hiding so take a risk and bloom in all your glory! This might mean that everyone in the world might not like you or think you are nice but if you are doing the right thing, you are a good person at heart and treat others as you should, does that matter? If you are happy, owning who you are and living from your truth isn’t that the most important thing? Scary as it might be, stop playing it safe and bloom! If things go horribly, horribly wrong find your amusement that at least you put it out there! Better to put it out there, have a new experience and learn than to never know in the first place! Previous Post Best Friends Forever! Next Post Invent Your Life! Thank you for your post! I got it just on time – we are soaked in information, but we need only the piece, which will key our one riddle. Debbie that is so true. I think everyone should step out of there comfort zone and try to do different thngs in life. You only live once and so you should live your life to the fullest since you never know when God will take you home again.